Breeding animals in zoos has helped bring species back from the brink of extinction. But getting animals to make babies isn’t always as simple as boy meets girl. Some animals’ mating habits are even more extra than the chopper rides and rose ceremonies on The Bachelor. For Perth Zoo, it’s been a learning experience. 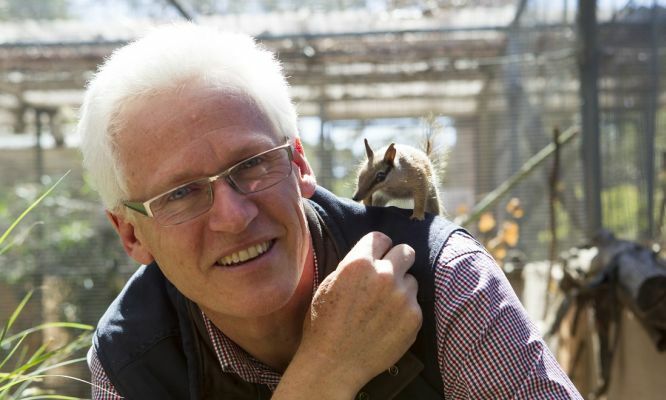 We caught up with Perth Zoo Science Project Leader, Dr Peter Mawson, who heads the native species breeding program at Perth Zoo. 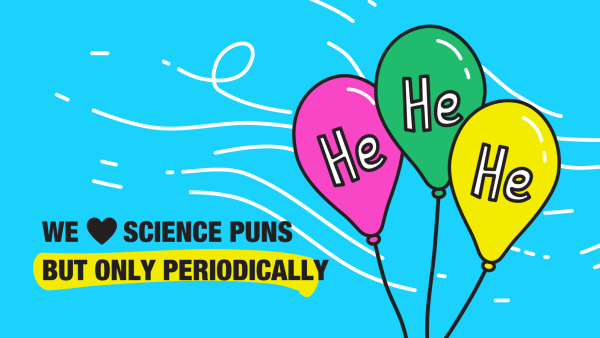 He told us all about the weird and wonderful world of animal breeding in the latest Particle podcast. Two years ago we were fortunate enough to get a baby numbat which should still have been with it’s mother but that was abandoned by accident crossing a road and was brought into the Zoo. It only weighed 56 grams when it arrived and an adult will weigh about 500. But we managed to feed it around the clock with staff taking it home and feeding it every 3 to 4 hours, and he’s now a member of the breeding colony and hopefully next breeding season he’ll have his opportunity to participate. This is Cahli Samata and you’re listening to the Particle podcast. Today I’m joined by Perth Zoo Science Project Leader, Dr Peter Mawson who heads the native species breeding program at Perth Zoo. Peter, thanks for being here. Could we start by asking what is a native species breeding program and what’s involved in it? A species breeding program is a program where, rather than just displaying animals so that people could see them, like when they come to zoos, we’re producing lots of them. As many as we can with the resources and the time that we have. At the Perth Zoo we have just over 1300 animals in the total zoo collection and over a third of those are native species that are being bred for release to the wild. We’ve got five species in the program at the moment. The numbat which is our state faunal emblem. We’ve got the western swamp tortoise, a little creature called the dibbler which is a carnivorous marsupial and two species of frog and they’re a little bit unusual in that they don’t have a free swimming tadpole stage like most people would expect. When you go down to creeks or ponds or lakes you see tadpoles swimming around. These ones lay their eggs into a shallow burrow. And then, uh, they go through their entire development and a tiny froglet, a perfect replica of it’s parents but only 3 millimeters long emerges after about 60 days. That is the cutest name ever, I want a froglet. So when it comes to breeding animals, I’m sure it’s not as simple as a glass of wine, some mood lighting. What are some of the challenges involved with getting animals to mate? You have to be prepared in terms of timing and having the right setup for the animals. You need breeding animals that are the right age. A lot of the native animals we deal with don’t live very long. The Western swamp tortoises, we have some that came into captivity in 1953 and they were already adults then, so probably 15 to 20 years as a minimum and they’re still with us and they’re still breeding. So they’re 80 plus years old, whereas species like the dibblers might breed for only one or two years, females for no more than three years. And for frogs, we’ve had them live for up to 13 years in captivity, but we haven’t been successful breeding them every year. So it’s very much a juggling act to make sure that you’ve got animals at the right age to put together with each other to give you the best chance of producing babies. So when you’ve got animals the same age, you’ve got your boy and you’ve got your girl, do they then just start making babies? For some of the species they don’t seem to be too choosey, but for species like the dibblers they’re very much a case of the lady makes the choice. If you offer her a partner or prospective partner who’s smaller than her or who she just doesn’t get on with, she will refuse him and they’re only able to breed for a two or three week window in each year. So if you miss that opportunity, you get no babies from that animal. So you have to be very flexible in swapping that unsuccessful suitor out, he doesn’t get a rose, and then putting another male in and seeing if you can get a successful outcome. So the dibbler Bachelorette? Yes, they’re very choosey and sometimes even to the point of being a bit rough with the boys, if they really don’t like them, they’ll bite them. So we have to check them for physical injuries after they’ve had their night out with the ladies. I’m glad we don’t see that on TV. So was it a bit of trial and error? Did you learn this at the zoo, about the dibblers? Very much so. And it’s about keeping good records so that when you see something happen you can then go back through and compare it to other dibbler pairs to see whether there’s a pattern occurring and sometimes it takes more than one year to work it out. But for other species like our frogs, we’ve bred both of them in captivity. White bellied frogs only twice and orange bellied frogs only once so far. And that’s a real challenge and we haven’t quite worked out what it was that led to those successful breeding events and why every other year despite providing the best conditions, we get the females to produce eggs, the males dig little burrows that the eggs should go in, but we can’t get the females to put the eggs in the burrows so that males can fertilize them. We’ve looked at temperature, we’ve looked at rainfall (artificial in our case because they’re kept indoors), but we’ve also looked at barometric pressure. So is it associated with cold fronts that would normally pass over the southwest capes that are the stimulus for breeding? Or is it a combination of those? And that’s a little bit hard to replicate when it’s indoors, short of putting them in the shower recess or in a barometric chamber, like a scuba divers have to go into. It’s very hard to achieve that level of control. So what did you do to get around that? We’ve tried a little experiment with those devices that you put your clothes and your blankets that you want to store and you hook them up to the vacuum cleaner and you lower the pressure in the bag. We built a big one of those and put the breeding tank with all the frogs inside it. And we were able to lower the barometric pressure down to the level that you see associated with cold fronts and let it rise up over the next three or four days, which is what normally happens when the cold front passes through and the frogs seemed happy, but we didn’t get any breeding. Okay well that one sounds like it didn’t go too well, but have there been other success stories through the breeding programs? There certainly have. Our effort is for breeding the animals, but we work in collaboration with the Department of Biodiversity, Conservation and Attractions and specifically the recovery teams which are established for each of the species that we deal with. And we’ve had good success with the dibblers, we have two island populations established one off the Jurien coast and one off the Esperance coast. We have another population on the mainland, north of Albany and for numbats we have populations in Battaling Forest just east of Collie and at Boyajin Nature Reserve. And in the last couple of years we’ve been establishing a new population at the Mount Gibson sanctuary in the north east agricultural area of Western Australia. Probably the most successful program in terms of really saving species has been the western swamp tortoise. By about the early 1970’s there was estimated to be maybe only 30 to 50 animals left in the world and we’ve been able to breed over 800 western swamp tortoise hatchlings since then and released over 700 of those into the wild. And that’s made a huge difference. That species, while it’s still classed as critically endangered, it’s not teetering on the brink of extinction anymore. Perth Zoo is the only zoo in the world that’s bred numbats, or is breeding them now, and same with the dibblers and the two frogs species. We’re lucky that we have assistance from Adelaide Zoo and Monarto Zoo in South Australia who have a second insurance population for the western swamp tortoises. It’s always a risk if you have all your eggs in one basket. Any of the hatchlings that they produce over there get a plane trip back to Perth so they can grow out til three or four years of age, and then they’re released into the wild sites in Western Australia. So when you do have all of your frog and you’re numbat babies, how do you get them ready for life in the wild? I’m sure it’s pretty different out there than in the care of Perth Zoo. It is very much a case of trying to replicate what they’re going to experience in the wild. So if they’re an animal that lives on live food, be it the frogs or the dibbler they get live food, live invertebrates, they get crickets and they get meal worms and they get beatles and a few other niceties, silkworms we give them so that they know what they’re looking like. And certainly in the case of the numbats, it’s not just an artificial diet that we produce for them in the kitchen every day, they get live termites. Well, it’s great that you’re teaching them how to find their own bush tukker, but how do you prevent them from becoming someone else’s dinner? That is a problem for some animals, particularly for the numbats. There are lots of things out there in the world that like to eat numbats and that can be our native birds of prey, Wedge-tailed eagles and little eagles and sometimes some of the falcons. Carpet pythons have been known to eat the odd numbat or two and foxes and cats and the Western Shield Program, which aims to controlled both foxes and cats through baiting is very important, particularly in areas in the southwest, but sometimes it’s also an advantage to have populations behind secure fences so that the foxes and cats can’t get to the animals. For a while we tried training the baby numbats so that they would have some experience of what they should do when a native bird of prey was in the area, which is basically run and hide in a burrow or a log or under some dense bushes. But we had difficulty trying to work out which baby numbats got the training and which ones didn’t, and then to know whether that made a difference to whether they survived or not. We’ve had other training programs we run for our dibblers where we think fitness is going to be really important. We grow them out in fairly small enclosures and it’s going to be a case of when you get into the wild you don’t want to be unfit and out of breath. So as a training device and also for enrichment we’ve put in little running disks, so instead of the running wheels that you put your mice on, these look like satellite dishes and the baby dibblers can get on board and run round and random on them, get them spinning and they really enjoy it. Sometimes you will get all eight babies in the litter on the device at the same time and they get it going so fast that centrifical force takes over and they all get flung off and then they jump back on and do it all again. And they spend so much time on it that we have to be mindful of how much wear and tear they get on their little pads, and sometimes we have to take their toys away for a few days so that they don’t wear the soles of their feet out. Oh my goodness. That sounds so cute. It sounds like such a fun job playing with baby dibblers and all these little baby animals, but what do you really love about this line of work? All of us West Aussies can appreciate how important this sort of job is to our native wildlife, but what really gets you up in the morning? I think it’s the fact that this is a rare opportunity to actually make a personal difference. Um, there are lots of things we can do about how we live, the sorts of impact we have on recycling and the resources we use. We can donate to charities that support those sorts of things. But this is an opportunity for me and for the staff who work with me to actually produce animals that we can put it into the wild. So if you want to improve the conservation status of the species this is a really cool way to do it. This has been the Particle podcast. If you want to get in touch, please reach out to us via social media with the handle @ParticleWA, or check out our website, particle.scitech.org.au. The Particle podcast is supported by Scitech, empowering all West Australians in science, technology engineering and math.